If you love to read and love to learn, then you’ll appreciate our library of BMW eBooks since you’ll get all kinds of info about BMW models. We created these guides for drivers like you in Annapolis, Highland Beach, and Hillsmere Shores to make the researching process as easy as possible. Continue reading to learn what you can find in these eBooks from BMW of Annapolis. Then, click on one of the BMW eBooks on this page to download a free guide. Our detailed eBooks go over every aspect of the car ownership journey. If you’re still in the beginning stages of your car research, then our buyer’s guides will help determine which BMW is right for you. 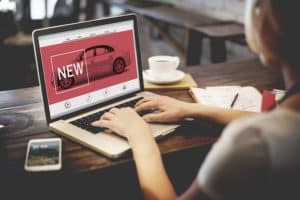 Maybe you’ve decided on a model but aren’t sure if you want to buy new or used. In that case, you’ll want to read through our new and used car guides. They can even help you decide whether leasing or buying a BMW is the way to go. Then, once you’ve made your purchase, you’ll want to make sure your new ride runs well for a long time. That’s why our auto maintenance guides can help you out. They’ll show you the most common types of automotive issues and how your local service center can resolve them. There are many benefits to reading through our collection of automotive eBooks. For one, they have all the information you could possibly need on a topic because they’re chock full of details. Plus, what’s great about our eBooks is that they’re free to download and can be saved for future reference. So, if you want to know more about a certain subject, then download one of our handy eBooks. Then, save it on your computer or mobile device to refer to as many times as you’d like. We understand how exciting it can be to read up on everything before, during, and after getting a car. Still, we want to make the process easy for you, as well. That’s why we put all our eBooks here in one convenient spot. So, if you want to download one guide now and another one later on, then refer back to this library, click on a link, and get your eBook! Check Out Our BMW eBooks Today! 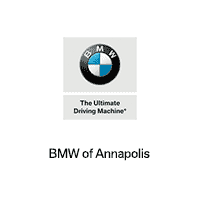 At BMW of Annapolis, we want drivers like you to learn everything from finding the right BMW to maintaining its performance. That way, you can be driving around Annapolis, Highland Beach, and Hillsmere Shores in a new automobile before you know it. So, don’t wait. Click on one of our BMW eBooks and download a free copy today!